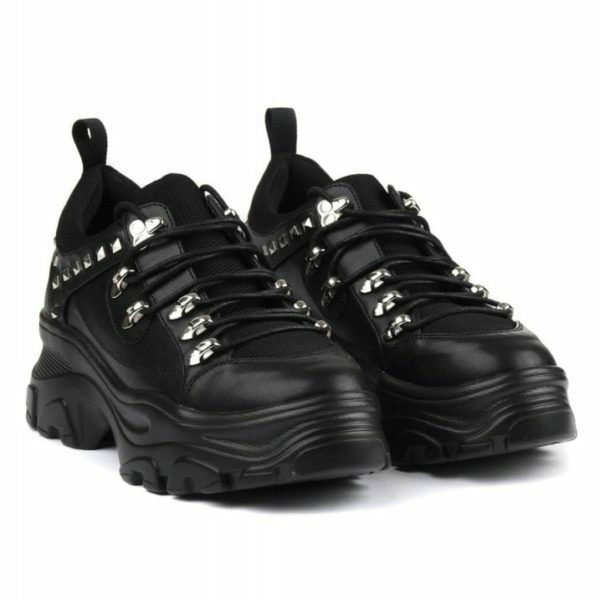 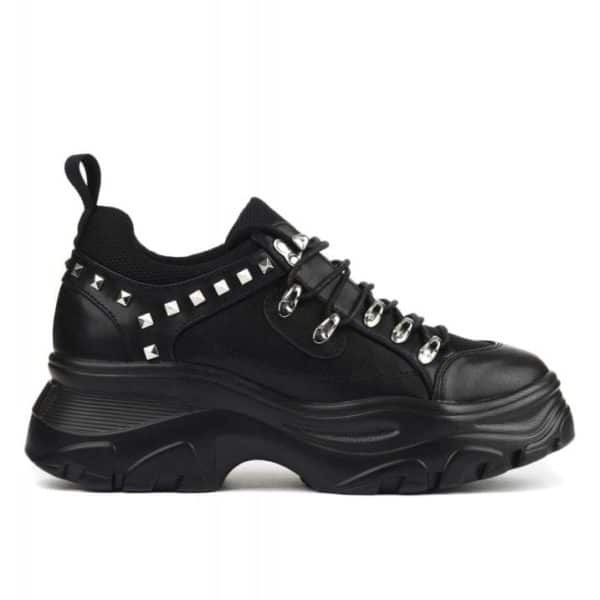 Chunky trainers are so in right now and we love Synth Studded Chunky Trainers. The 1990s style kicks feature silver pyramid studs and a lace-up front with hiking-inspired ski hooks. 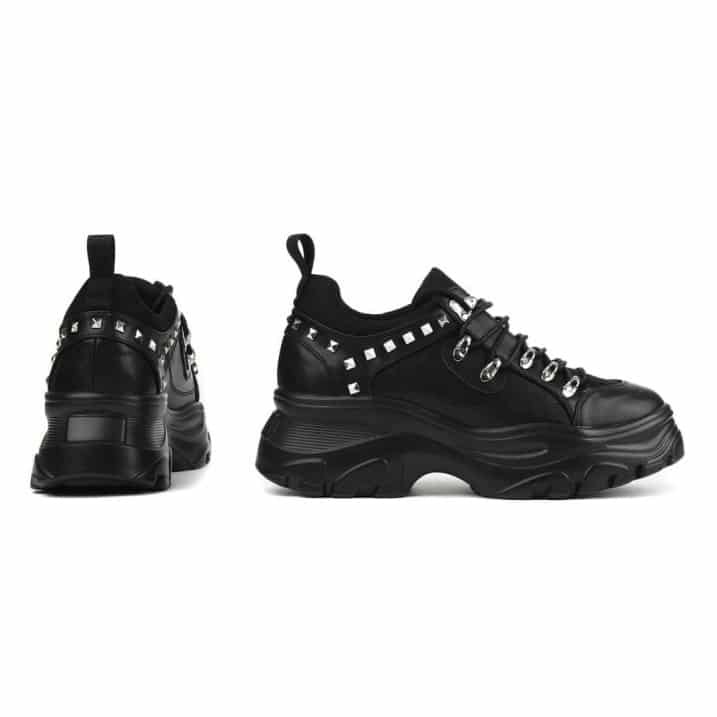 The vegan leather gothic trainers have white mesh details and a chunky 2″ sole.